SculptMedix by DermalMedix Reviews - Is It a Scam or Legit? 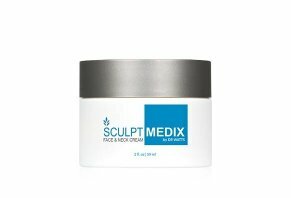 SculptMedix anti-aging face and neck cream uses epidermal growth factor to try and make your skin look younger by reducing wrinkles, firming your skin and lifting your skin. SculptMedix by DermalMedix Review: Is It Worth It? SculptMedix is an anti-aging face and neck cream that claims to reduce skin sagging and wrinkling to give your skin a younger, more vibrant look. The key to this cream’s supposed effectiveness is its inclusion of something called epidermal growth factor (EGF), a “Nobel Prize winning technology” that helps your skin repair itself. SculptMedix is part of the DermalMedix skincare line whose founder is Dr. David Watts, a Los Angeles-based doctor. According to DermalMedix’s website, Watts is a board-certified plastic surgeon and an Army vet. His brand is responsible for other skincare products include VeinMedix, CrepeMedx, and Footmedix. In this review, we’re going to talk about how the SculptMedix works, highlight the ingredients the product’s website says are important, talk about EGF and then review the pricing and return policies. We’ll also take a few minutes to compare SculptMedix to other anti-aging creams. According to the product’s website, applying the cream is a pretty simple process. You’ll want to clean and dry your skin first. Then, take a dime-sized amount of the cream and apply it to your neck and face twice a day. The product's directions say you’ll want to use an “upward circular motion” to rub the cream into your skin. Each one of these ingredients has a certain set of benefits that DermalMedix assigned to them. For example, they say that EGF “increases blood flow, supports skin cell regeneration and promotes collagen production”. They say that oligosaccharides “give you immediate lifting and tightening effects” and that sodium hyaluronate makes your skin supple and moisturizes it. Pro tip: Each jar of cream is 2.1 fl. Oz. and should last you around 30 days. We were curious about what the science says about how SculptMedix’s three main ingredients can help your skin, so we did some research to find out what doctors and research says. As such, EGF’s benefits are most often associated with wound healing. We were able to find out, however, one study that indicates that EGF’s were able to reduce wrinkles and pore size as well as improve skin texture in a test group of 29 30-year-olds. What’s not known, however, is the concentration of the cream used in the test or if the EGF used was the same as what you’ll find in SculptMedix. Furthermore, an article from Bravo TV in which reporter Wendy Rose Gold spoke with board-certified dermatologist Dr. Hal Weitzbuch indicated the EGF’s anti-aging effect was unknown. Oligosaccharides are particular types of carbohydrates that are found in several of SculptMedix’s ingredients, including chicory. WebMD notes that some people use a chicory paste to reduce skin swelling and inflammation but the site doesn’t mention anything about chicory’s effectiveness in day-to-day anti-aging regiments. Sodium hyaluronate is the final main ingredient in SculptMedix. According to Drugs.com, the most common uses for this ingredient are for joint pain, as its primary function is to keep joints lubricated. The site did not indicate any uses for skincare. As far as we could tell through our research of the ingredients in this anti-aging cream, the possibility of side effects is low. The major concerns we read about were regarding injectable doses of sodium hyaluronate, not topical applications of a cream. Mayo Clinic notes that common reactions to sodium hyaluronate include itchy skin, blue or purple patches on the skin and other non-skin related issues. Based on our research of the fine print, we found that the 90-day deadline starts from the day the cream leaves the shipping facility. If you make a return request within those 90 days, you have to contact their customer service department to start your return. You can contact DermaMedix at 800-425-0243. Anti-aging creams featuring EGF aren’t quite as plentiful as those that use popular ingredients like hyaluronic acid and retinol. The big difference between these two products and SculptMedix is pricing and EGF concentration. You get nearly twice as much SculptMedix for the same price as DHC’s cream and about four times the cream as you get in serum from Bioeffect. We took a look the ingredients for each of these products and found that DHC contains EGF as well as hyaluronic acid, a popular moisturizing ingredient in many types of skin creams and serums. Bioeffect’s serum has only seven ingredients, which means their focus seems to be on maximizing the amount of EGF in their product. If it’s EGF you want for your skin, Bioeffect seems to be the better choice purely because EGF seems to be the most prominent anti-aging cream but the price could be prohibitive for some. This is where SculptMedix provides a more affordable option. It’s hard to say if SculptMedix is a better choice than DHC, mainly because DHC doesn’t say how long one jar is supposed to last. Assuming you use the same amount as you would in the DermalMedix product, it will last half as long. Based on the research we’ve done in this review, we believe there are some distinct advantages and disadvantages to using SculptMedix. First, the cream’s price is competitive when set against what’s available from other EGF creams. Still, at $89, a 30-day supply could be cost-prohibitive for those on a budget who are looking for an affordable anti-aging cream. The main downside to the cream, we believe, is that it uses ingredients whose anti-aging properties have yet to generate a lot of confirming research. EGF can help with wounds but the proverbial jury is still out regarding how effective it is in rejuvenating your skin. Research of the other two main ingredients didn’t reveal much from reputable medical websites. If you want to learn more about creams like DermaMedix, take a few minutes to read through our guide to anti-aging creams. We talk about how effective different ingredients are and if, given the research and pricing, it’s worth it to invest money in anti-aging creams. Write a Review for SculptMedix by DermalMedix!